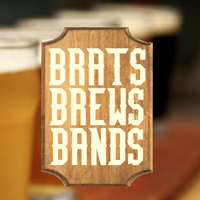 What could be more fulfilling than an event like Brats, Brews and Bands? Top local Chef Ricardo will be on site whipping up a masterful menu, beers like Spin Cycle Red Ale, Whistling Pig Hefeweizen, Life Jacket Session IPA and many more will be filling mugs left and right. And if delicious food and cold beer wasn’t enough to convince you, then the lineup of live music will surely push you over the edge.